Introducing our brand new tablet-exam mode, simulating the digital LSAT experience that is being unveiled by LSAC this July 2019. 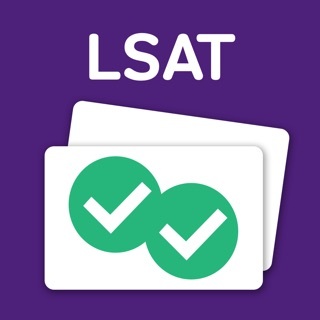 The future of LSAT prep is here! I took a (joke of a) LSAT prep course in person over the course of only two Saturday's and somehow thought I’d be ok after that to test.. well not shockingly I didn’t do well. Determined to get into a better school I set out to retest only this time after paying top dollar for a REAL prep course. In my quest for the best prep course I was convinced after much research that it had to be an in-person Kaplin course and that I was going to have to fork over a thousand or more bucks for it. I thank God Almighty that I stumbled on this course just moments before committing! I had a great conversation with the creator of the course, Mehran, over chat and what he said made perfect sense. I tried it out first without spending any money and in minutes knew this was the best prep available. AND it costs significantly less than the others! What a blessing! I thought in-person was the best and only way; however, being able to pause, rewind, speed up/slow down, read posts with in depth explanations, and chat with a coach 24/7 is unbelievably helpful. Not to mention the amount of printed material that comes in the affordable package! Have I said enough? I found this curriculum very helpful if you knew what type of logical reasoning questions you wanted to study. It also had a good overview of logic games but hardly any real help with reading comprehension. There are helpful videos for a very select number of questions, though all questions are explained by request. I wish the books supplied had more substance in them (like a transcript or something). Personally, I just didn't think the books supplied were very useful. Use this for all your logical reasoning questions, 7sage for logic game explanations and powerscore for more about game setup, and basically just read to improve reading comprehension or look to powerscore for more reading comprehension help. I bought the premium edition of this course and have definitely improved my score, but I probably wouldn't invest over $900 again unless there was more curriculum development in the logic games and reading comprehension areas. I was using all of the PowerScore materials to self study for the September LSAT, however did not see my scores go up. 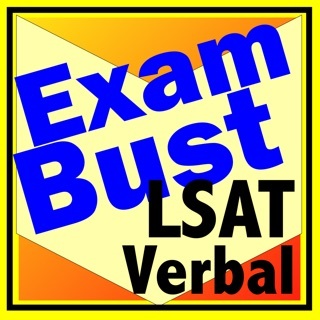 I had started my prep three months before the September LSAT. A month and two weeks away from the test day I decided to use another program and came across LSATMax. This program was very easy to use and the materials covered help me understand where I was not scoring high. Not only that it also gave me access to several practice problems and also allowed me to access answer keys that gave an in depth explanation on why the answer is correct. I would definitely recommend this program. If I had known about it sooner I would've probably stuck to LSATMax!